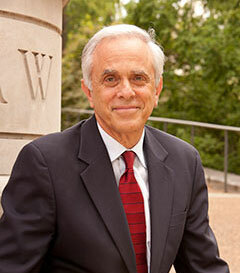 Jeffrey A. Schoenblum, Centennial Professor of Law at Vanderbilt University, is a graduate of the Johns Hopkins University and Harvard Law School, where he was a Note Editor of the Harvard Law Review. After law school, he served as a clerk for Judge J. Edward Lumbard of the U.S. Court of Appeals for the Second Circuit and then was an associate with the New York law firm of Willkie Farr & Gallagher. Professor Schoenblum is the author of a number of books and articles and has spoken at numerous seminars, including the University of Miami Annual Institute on Estate Planning and the Southern Federal Tax Institute. In 2016 he was inducted into the Estate Planning Hall of Fame. He is also an academician of the International Academy of Estate and Trust Law and a fellow of the American College of Estate and Trust Counsel. He has served as Chairman of the ABA Real Property, Probate, and Trust Law Section's Committee on International Property, Estate and Trust Law.